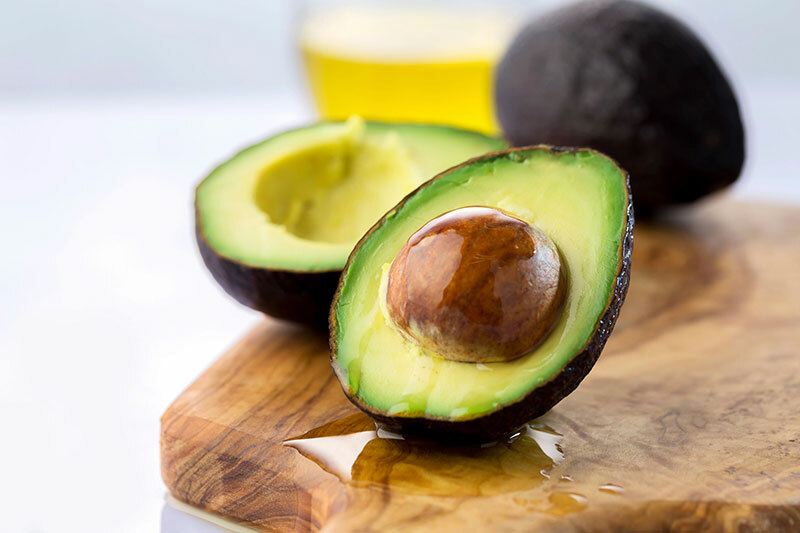 While avocados have a pretty bad reputation for being fatty, the truth is that the fats are healthy and the flesh is loaded with phytonutrients, vitamins, minerals, and full-body benefits. From the scalp of your hair all the way to the feet, avocados and avocado oil are beneficial, and even the avocado seed is edible! Most people dispose of the avocado seeds, throw them to the compost, or add them to guacamole to keep it fresh. However, these seeds have a robust nutritional profile and are packed with more antioxidants that the flesh itself. Many people are unaware of the fact that avocado seed has more antioxidants than most fruits and veggies. As a matter of fact, it has even higher antioxidant content than most healing teas! Not only avocado seeds yield massive amounts of antioxidants, but they also give you more soluble fiber than any other food or beverage! Avocado seeds contain antioxidant-dense oil that lowers high cholesterol and helps prevent heart disease and stroke. Regular consumption of avocado seeds helps reduce inflammatory diseases in the body, particularly when it comes to relieving swelling in the gastrointestinal tract. Apart from aiding the GI tract, these seeds also help alleviate constipation and diarrhea. The phenolic compounds in avocado seeds are beneficial for soothing gastric ulcers, while their antiviral and antibacterial properties make them an effective preventative measure against ulcers along the lining of the digestive system. Up to 70 percent of the antioxidants in avocados are found in the seeds. The seeds contain a potent antioxidant called flavonol, which helps prevent and inhibit tumor growth. According to a 2013 study published in Pharmaceutical Biology, avocado extract from the flesh caused apoptosis of leukemia cancer-cells. Another study published in the journal Cancer Research found that avocatin B, a compound found in avocado seed extract, protects against human acute myeloid leukemia cells. Avocado seeds contain catechins and procyanidins, both of which have anti-inflammatory properties that reduce joint pain, swelling, stiffness, and diseases. The aforementioned flavonol in avocado boosts immunity and keeps cold and flu at bay. Avocados are packed with heart-healthy monounsaturated fats and due to their fiber and amino acid content the seeds help lower cholesterol and prevent cardiovascular issues. “This soluble fiber binds to the fat and excess cholesterol. Then we can lower cholesterol and improve heart function naturally. It is very hard to introduce soluble fiber in our diet. Soluble fibers can be found in oatmeal, but it cannot compare with the avocado seed,” Dr. Tom Wu says. Components in the avocado seeds are able to reduce bone disease, aches, pains, and joint discomfort, which in turn helps you feel younger. Antioxidant content combats free radicals that cause premature aging and illness. What makes avocados effective in slowing down the aging process is their ability to synthesize collage. Ultimately, avocado seeds lower blood sugar levels and thus help you maintain your weight within the healthy range. Its high content of good fats will keep you full for longer, which means that you will not be indulging in snacks all day. Keep the seeds the next time you eat an avocado, wash them, pat dry, and them bake into the oven or dehydrator until the outer skin of the seed cracks. Cut the seeds into smaller pieces, put them to a blender, and blend until powdered. The avocado seeds powder can be used in many different ways, such as added to smoothies, juices, salads, soups, oatmeals, or made into tea. How to Get Rid of Back Pain With Gelatin In 7 Days!